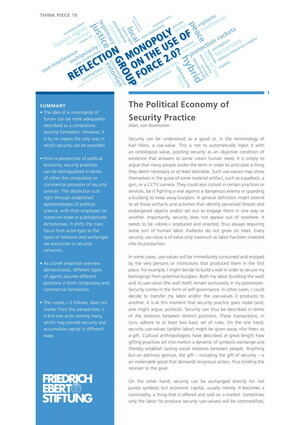 BICC Publications/The Political Economy of Security Practice (Think Piece series No. 10). You are here: Home » Publications » The Political Economy of Security Practice (Think Piece series No. 10). The Political Economy of Security Practice (Think Piece series No. 10).